Pack more efficiently with Eagle Creek?? ?s Pack-It set. 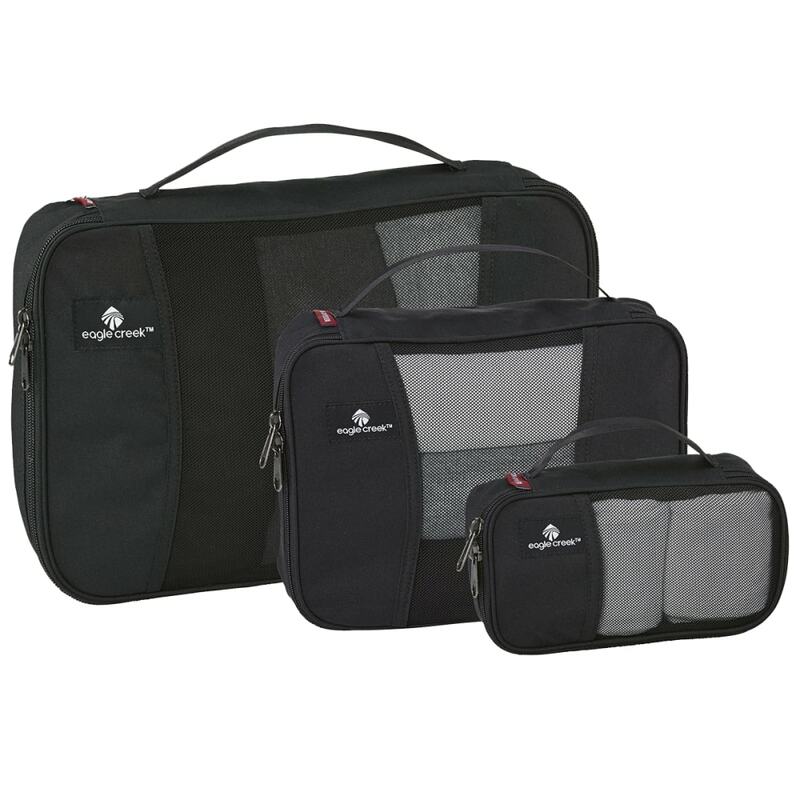 Three compact cubes offer space for rolling and compressing clothing, accessories, and other belongings, while the mesh fabric improves breathability and visibility. Use it to maximize your space usage, and spend less time in airport security checks. Cube: 14 in. x 10 in. x 3 in. Half Cube: 10 in. x 7 in. x 3 in. Quarter Cube: 7.5 in. x 4.5 in. x 2.5 in.